Should a leader be an example to his team? My freshman son discovered Football this summer. He went to the camp suggested by his coach, attends all practices, comes in early for game films, is enthusiastic, goes to varsity games as his coach suggested. He and his parents were told that every player had a chance to prove themselves and would play to their ability. The coach told parents and guardians that this was all about the kids and teaching them life lessons. Although the game was important, integrity, honesty, and character were more important lessons. After watching 3 blowout games (2 losses and a win) with virtually no substitutions I am confused. A small core of players are on first string offense/ defense and play every down. Some are on special teams as well. A lot of kids do not play at all. Long story short, Is this the lesson? Work hard and you will be a sucker. Next year will be more of the same. This is not a complaint. The coach has every right to his methods, but my son wants to know if he should stay the course or cut his losses in this case, as other kids have. I am truly sorry that your son had to go through this. Any parent would feel the same as you. It is hard to watch our kids go through hard things like this one. This is that time when a parent’s love and affirmation is needed most. He needs his parents to be his biggest fans and supporters during this tough season of his life. Yes, there still are a lot of lessons to be learned in all of this. It would be impossible for me to try to list all of them. There are things our kids glean from difficult experiences that we will never know. Things like learning how he would coach, and learning how he would treat kids, and realizing how much his parents really love and support him would just be scratching the surface of his potential benefits. It is important that you, as his parent, try to use this time for his benefit. I know it is hard, but for you to rise above being the “whiner” or the “complainer” is important for him to see modeled out. 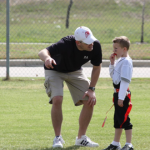 Ok, now let me move on to the coach… it is sad that there are coaches out there that are more interested in their own agenda than for what is the best for the kids. At the high school level, it is common for coaches to not use their bench the same as a 5th grade coach would. But in a blow out situation…come on! This is the best time to watch other players who could be your future, potential, unknown stars. 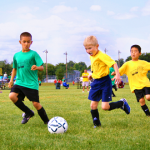 This is the best time to put more kids in to give them playing experience. This is the best time for coaches to put in the “bench warmers” as a way of showing their appreciation for their hard work and diligence to the team. Sometimes coaches use blowout situations as practice time for the first team to work/practice on something new. This is understandable, but still should not take the place of getting all the players in the game. Getting playing time to as many kids as possible is important for coaches to understand and apply. This has a powerful impact on influencing a kid to stay in the sport and keep on practicing. Again, I am hopeful that somehow you all can find the good out of this hard time for his benefit. Hang in there as this time seems long, but it will soon be a dim memory, and the lasting effects of positive character development will overtake the pain. My advice; stay the course, and count the gains.